In some countries in Europe, education is seen as a public good—a human right accessible to everyone. And international students are seen as a vital part of their higher education system. These countries offer tuition free universities admission for international students. We have compiled a list of the top 10 Universities that offer admission for international students without tuition fees in 2019/2020. Selection Criteria: We selected universities around the world that offered tuition free education and ranked the top 10 based on the top universities in the world, as ranked by QS World University Rankings. About University: The University of Bergen is Norway’s urban university, with most of its premises concentrated in two areas. Årstadvollen is the University’s “health campus”, where dentistry, medicine and health-care lie close to the Haukeland and Haraldsplass university clinics. Other subjects – natural and social sciences, psychology, the arts and law – are taught at Nygårdshøyden, a mixture of houses, shops and seats of learning. The University of Bergen is intricately woven into the geographical, historical and cultural framework of the city. Tuition Fees: The University of Bergen is a public institution and therefore does not charge tuition fees. This applies both to Norwegian and international students. The only fee to be paid at the University of Bergen is the semester fee to the Student Welfare Organisation (SiB), currently NOK 590. Students on exchange programmes do not have to pay the semester fee. Scholarships: The University of Bergen itself does not offer any scholarships for international students interested in studying at the university. Cost of Living: In spite of the general high cost of living, you can manage fairly well on a tight student budget. The average university student’s budget is approximately NOK 9785 per month (2014). This amount should cover most monthly expenses such as housing, food, clothing, study materials, books, transport and social activities. About University: RWTH Aachen University is the largest university of technology in Germany and one of the most renowned in Europe. Every year, numerous international students and scientists come to the university to benefit from its high quality courses and excellent facilities, both of which are recognised at an international level. RWTH Aachen University is in the process to become an integrated, interdisciplinary technical university. The engineering focus of the university is associated with the natural sciences and medicine. The arts, social sciences and economics, structurally linked to the core disciplines, also make a significant contribution to the university’s teaching and research profile. With its 260 institutes in nine faculties, RWTH Aachen is among the leading European scientific and research institutions. 43,721 students in 144 courses of study are enrolled in the winter semester of 2015/16, including almost 8,000 international students from more than 120 countries. Tuition Fees: There are no tuition fees at RWTH Aachen University – this applies for international students as well! All students are, however, subject to a student body and social contribution fee of €239.75 Semester Fee. About University: Aalto University’s mission is to build a better and stronger Finland. Here science and arts meet technology and business. Aalto University was established in 2010 through a merger of three renowned universities in the Helsinki metropolitan area in Finland. Aalto University is about cross-disciplinary projects and learning in practice. Students are encouraged and supported to excel both in their studies and their future careers. Many of them already have a vast work experience by the time they graduate. Aalto University offers more than 90 degree programmes at bachelor, master and doctoral level, leading to degrees in the fields of technology, business, art, design and architecture. Tuition Fees: For the intake of 2016 no tuition fees will be charged. Tuition fees will be introduced for non-EU/EEA students in Finland from August 2017 onwards. Scholarships: Aalto University does not offer any scholarships for the intake of 2016. Cost of Living: Students are expected to cover all living expenses (app. EUR 800 per month) and other study related costs from their own financial resources. About University: The University of Oslo is Norway’s largest and oldest institution of higher education. It was founded in 1811 when Norway was still under Danish rule. Today the University of Oslo has approx. 30,000 students and 4,600 employees. Four Nobel Prize winners indicates the quality of the research at the University. Tuition Fees: Since the University of Oslo is a state university and therefore publicly funded, the students here do not pay tuition fees. Most students must pay a small semester registration fee of NOK 550 (approx. 70 euro). This fee gives you the benefit of the services of the Foundation for Student Life (SiO). Scholarships: There are no scholarships available for students on bachelor’s degree programmes. Scholarships are available under programmes such as Erasmus, Nordplus and the EEA Grants/Norway Grants programme. Cost of Living: You will need a minimum of NOK 3000/USD 625 for the summer. Books, course supplies and personal expenses (such as laundry, transportation and spending money) are not included in the fees. About University: The university was founded in Berlin in 1810, and the foundation concept of Wilhelm von Humboldt gave it the title “Mother of all modern universities”. This concept envisaged a “Universitas litterarum” which would achieve a unity of teaching and research and provide students with an all-round humanist education. This concept spread throughout the world and gave rise to the foundation of many universities of the same type over the next century and a half. The concept of the academic and statesman Wilhelm von Humboldt was influenced, among others, by the reform ideas of the philosopher Johann Gottlieb Fichte, the first vice chancellor of the university, and by the theologian and philosopher Friedrich Schleiermacher. Tuition Fees: There are NO tuition fees at Humboldt Universität zu Berlin! Neither for German and EU students, nor for international students from other countries. However, the total amount of € 307.09 in the summer semester (€ 257.09 for exchange students) has to be paid. Cost of Living: The cost of living amounts to about € 600-700 per month (based on the maximum BaföG-grant for German students of € 670). Generally, proof of sufficient financial resources must be given when applying for a visa at a German diplomatic representation abroad or for a residence permit at the Foreigners’ Registration Office (Ausländerbehörde) in Berlin, which will enable the applicant to pursue university studies without financial hardship at least at the beginning. About University: At Freie Universitaet, the basis for educating outstanding young academics and scientists lies in granting utmost freedom for the pursuit of ideas, combining personal liberty with strong individual support from academic advisors, and establishing a multitude of opportunities for disciplinary and interdisciplinary networking with young academics as well as seasoned scholars. The university thus encourages graduate students to pursue their studies with a high degree of autonomy and independence. At the same time, Freie Universitaet fosters individual supervision by faculty members from the respective departments and opportunities for regular peer reviews with other graduate students. Tuition Fees: Except for some graduate or postgraduate programs, the Freie Universität Berlin does not charge tuition fees; students are merely responsible for paying certain fees and charges each semester. Scholarships: The Freie Universität Berlin does not award any grants or scholarships. Cost of Living: Your living costs mainly depend, of course, on your personal requirements and habits. You should count on spending a minimum of 600 to 700 Euro (rental fees, grocery, leisure time etc.). In order to obtain an entry visa or a residence permit for study purposes, you must prove that this monthly amount is at your disposal, independent of any job. About University: The University concentrates on high-level scientific research and researcher education. Scientific research is also the basis of the teaching provided by the University. The University operations support the development of society, as well as business and industry. University representatives offer their competencies for the benefit of society through a number of positions of trust and expertise. The results produced by the research and teaching carried out at the University have been widely acclaimed. The University participates in more than half of the national Centres of Excellence in Research, elected by international scientific panels. Tuition Fees: In Finland, annual tuition fees will be introduced to foreign-language Bachelor’s and Master’s programmes starting on August 1, 2017 or later. At the University of Helsinki, this in practice refers to Master’s programmes in English. Citizens of non-EU/EEA countries, who do not have a permanent residence status in the area, are liable to these fees. Scholarships: The University of Helsinki will give about 50 start-up grants to qualified degree students who are accepted to study in an International Master’s Degree Programme. The amount of each grant will be 1000-1500 euro. The grants are not meant to cover living expenses, but the little extra money helps new students to settle in Helsinki. Cost of Living: All students have to pay for their accommodation and living expenses as well as their books and other study materials. The total monthly living expenses of a single student average from 700 to 1000 euro – depending on your spending habits. You should make sure that you make arrangements for adequate funding for your entire period of study before leaving your home country. However, as a student you have access to several student benefits, which can make your life a little easier. About University: Ludwig-Maxmilians-Universität (LMU) München is one of Europe’s leading research universities with over 500 years of tradition. It has been selected as a “university of excellence” within the Excellence Initiative, a competition launched by the German government to promote top-level university research. As a genuine “universitas” LMU Munich offers a broad spectrum of all areas of knowledge, ranging from the humanities and cultural sciences, law, economics and social studies, to medicine and the sciences. Tuition Fees: Students don’t have to pay tuition fees for most programs. There are tuition fees for summer programs and some English-taught Master programs, so you should check the individual course for details. Scholarships: International students are eligible for limited scholarships and funding opportunities throughout the State of Bavaria and Germany. About University: Heidelberg University, founded in 1386, is Germany’s oldest university and one of the strongest research institutions in Europe. In terms of educating students and promoting promising early-career academics, Heidelberg relies on research-based teaching and an outstanding, well-structured doctoral training. Heidelberg University is a comprehensive university, offering the full spectrum of disciplines in the humanities, the social sciences and law alongside the natural and life sciences, including medicine. Tuition Fees: There are no general tuition fees at Heidelberg University for undergraduate study programmes, nor for consecutive master’s programmes or PhD programmes. Continuing-education master’s programmes may charge special tuition fees. Scholarships: There are a few scholarships available through the German Academic Exchange Service (Deutscher Akademischer Aus-tauschdienst – DAAD) and other institutions for highly-qualified candidates. Cost of Living: In order to cover their living expenses, students of Heidelberg University will require at least €670 per month. About University: The Technische Universitaet Muenchen (TUM) offers a wide range of studies in engineering, natural sciences, life and medical sciences and economics. TUM covers a wide spectrum of fundamental and applied research. The course program contains about 160 courses of study, 98% with bachelor and master degrees. TUM has drawn up double degree agreements with more than 20 universities and maintains partnerships with around 170 universities worldwide. Today TUM comprises thirteen faculties with about 37,000 students (about 20 percent of whom come from abroad), 475 professors and roughly 10,000 members of staff, academic and non-academic. No Tuition Fees: There are no tuition fees at TUM. Students need only pay semester fees in the amount of € 114.50 con­sisting of a Student Union Fee and a basic Semester­ticket for the public trans­portation net­work. 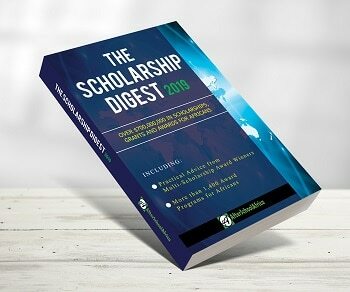 Scholarships: A variety of foundations offer grants to students at all levels of study and eligibility is not limited to students with outstanding marks. Cost of Living: Living in Munich is relatively expensive. According to current calculations you will need some € 830 per month (inclusive of rent, but free time activities are not included) for living in the Bavarian capital Munich. However, when applying for your visa you will only need to present proof that you will have € 659 at per month at your disposal. Make sure that sufficient funds are available for the whole period of your studies, as you cannot count on scholarships and only are allowed work beside your studies under certain conditions. QS is the leading global career and education network for ambitious professionals looking to further both their personal and professional development. Compare the world’s highest-performing universities with the latest edition of the QS World University Rankings®, and explore the leading universities in different world regions and in specific subject areas. More about QS World University Rankings, Guides and Events.